KL Yoga Collective hosts and promotes Yoga classes and events by independent Yoga Professionals in Kuala Lumpur. I founded KL Yoga Collective to collaborate and hang out with like minded people, to make Yoga happen in likely and unlikely places across town and to support independent Yoga Professionals, like myself, to create and sustain a career that they love. 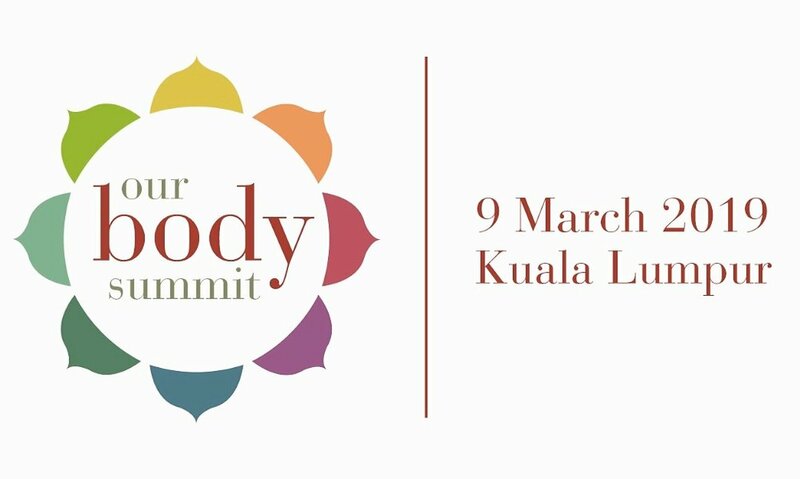 OurBodySummit is a wellbeing summit for KL City slickers. A roaming fest, popping up across several welcoming venues in Ampang, OurBodySummit is about enlightening the physical, mental and emotional wellbeing. It is for everyone ready and willing to open their minds, bodies and hearts to new ways of moving, playing, breathing and living. OurBodySummit is a charitable event, contributing 100% of its profits to Pink Triangle Foundation and made possible by contributors from near and far, sharing their time, expertise and resources. This project was initiated by Liz and Zarul at OurBodySpace and delivered through team work and collaboration between KL Yoga Collective, Airo Yoga, Infiqi, OurBodySpace, Damai Studio & Cafe and RGB & The Bean Hive. Subscribe to receive my updates and news. Thank you for opting in to receive my news. I'll be in touch.